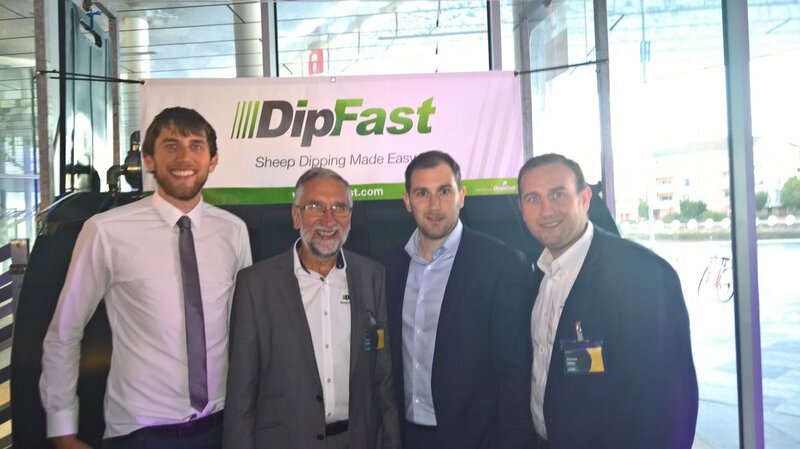 DipFast, an enclosed sheep showering unit developed by Beragh, sheep farmer Mark Kelly and his company Oran Oak Engineering has been recognised as Northern Ireland’s top Agri-Science Innovation at the prestigious Catalyst Inc INVENT Awards 2016. 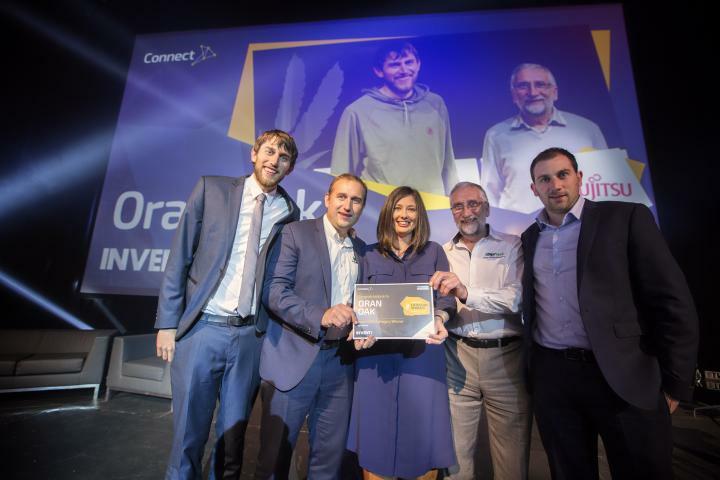 Fujitsu, the leading Japanese information and communication technology (ICT) company, who sponsored the category, presented the award to Mark and his 3 sons at a gala ceremony in the Waterfront Hall, Belfast. The annual INVENT Awards, sponsored by the Bank of Ireland, aims to find inventions with the greatest commercial potential. 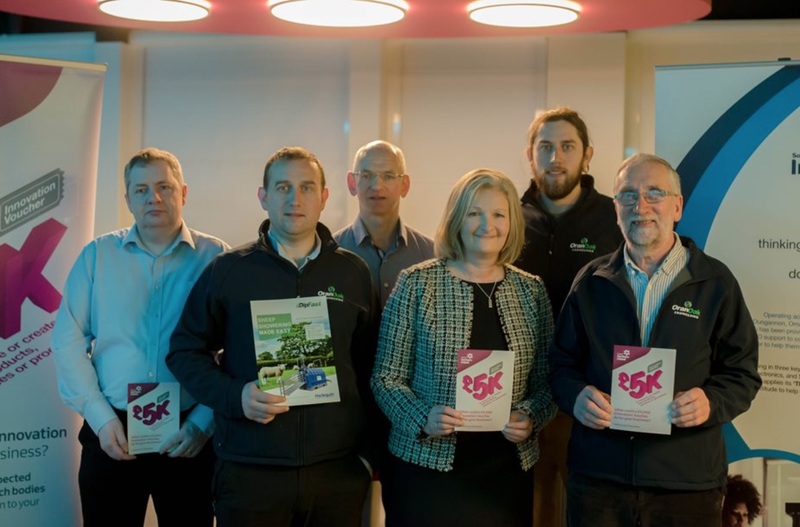 Open to inventors, scientists, entrepreneurs and students, the competitors competed for a share of the £33,000 prize fund and a place on the Northern Ireland Tech Mission to pitch to investors and potential partners in California. 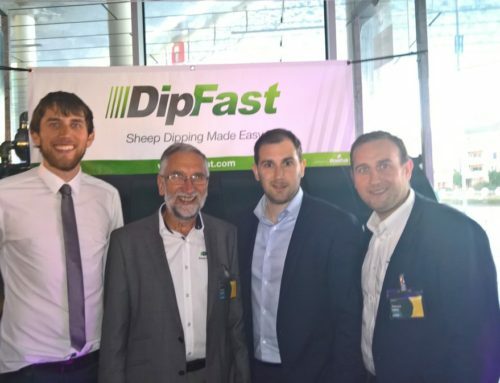 This year’s field of agri-food entries were shortlisted to between Oran Oak’s DipFast and Purple Magic, a coloured flesh potato variety with high levels of anthocyanins which research indicates has a beneficial impact on health. 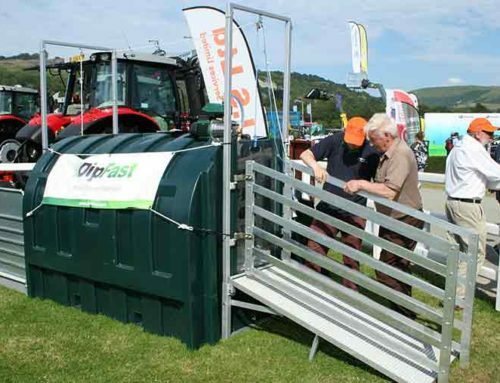 The unique sheep showering unit was originally designed by Mark 8 years ago, using materials on his farm. 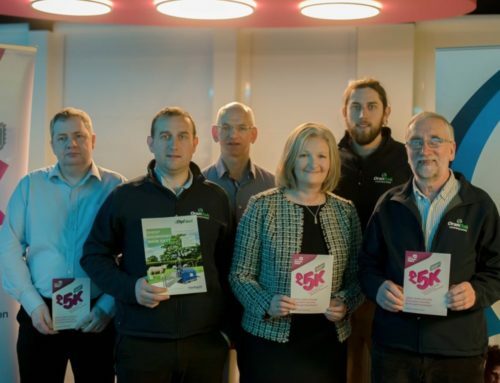 In 2013 the company availed of an InvestNI Innovation Voucher through South West College InnoTech Centre, to help enhance the unit to the current prototype. 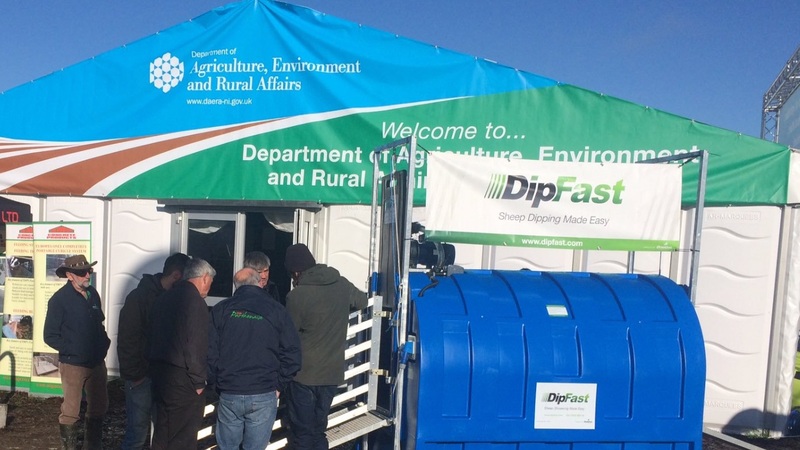 DipFast aims to address a number of important considerations for the agri-food industry including the environment, user safety, animal welfare and cost. It uses a rotationally-moulded fully enclosed showering unit , manufactured by Harlequin Manufacturing Ltd. 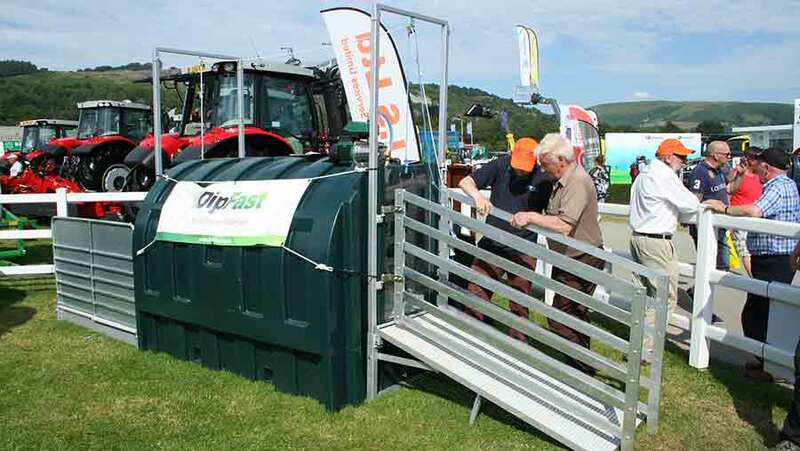 The unit can sit on a trailer and be transported anywhere. 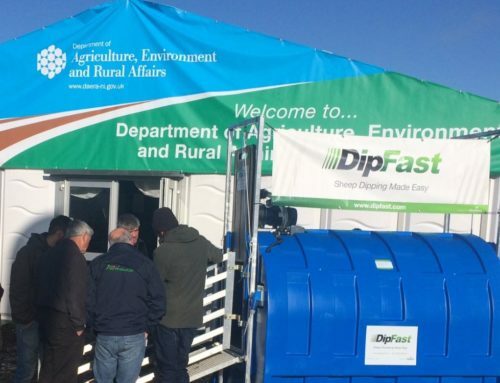 The sheep walk into it via a ramp and the chemicals are recycled between sheep, the unit also ensures contaminants don’t get into the groundwater. One farmer, as opposed to three or four, can man the operation, without worrying about coming into contact with the chemicals.